A Rutgers University-led study published in the journal Science has shown that climate change has taken a toll on many of the world’s fisheries and that over fishing has magnified the problem. Seafood has become an increasingly important source of nourishment as the global population grows, especially in coastal, developing countries where it provides as much as half of the animal protein eaten. More than 50 million people worldwide work in the fisheries industry or subsist on fisheries. Scientists at Rutgers and the National Oceanic and Atmospheric Administration studied the impact of ocean warming on 235 populations of 124 species in 38 ecological regions around the world. Species included fish, crustaceans such as shrimp, and mollusks such as scallops. They combined data on fisheries with ocean temperature maps to estimate temperature-driven changes in the sustainable catch over 8 decades. 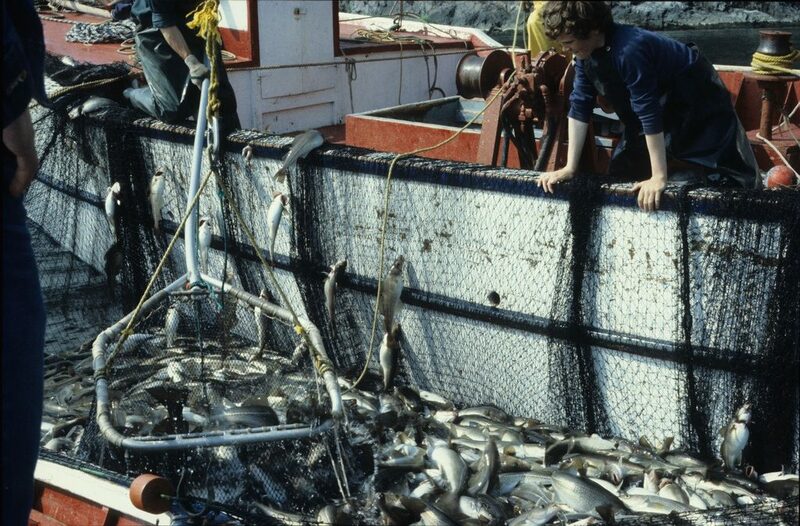 The data covered about one-third of the global catch. According to the study, ocean warming has led to an estimated 4.1% drop in sustainable catches, on average around the world, for many species of fish and shellfish from 1930 to 2010. In five regions that include the East China Sea and the North Sea, the estimated decline was 15 to 35%. The researchers recommend that fisheries managers eliminate over fishing, rebuild fisheries, and account for climate change in fisheries management decisions. Over fishing provides a one-two punch to fisheries facing warming waters. It not only makes fisheries more vulnerable to ocean warming but continued warming will also hinder efforts to rebuild over fished populations. Photo, posted April 23, 2011, courtesy of Derek Keats via Flickr.